Bharat sanchar Nigam Limited (BSNL) is going to recruit 2700 junior engineers.In notification for junior engineer recruitment 2700 junior engineer will be recruited on basis of temporary and permanent. Candidates can apply for BSNL junior engineer post between 10-07-2016 to 10-08-2016.
online test of bsnl junior engineer will be on 25-09-2016. Detail about Age limitations, education qualification, selection process , fees and how to apply for Bsnl junior engineer post 2016 is given below. Age limit for BSNL junior engineer candidates is between 18 to 30. Age relaxation 5 years For SC/ ST & BSNL employees, 03 years for OBC, 15 years for SC/ ST ,13 years for OBC-PWD and ex serviceman will be given according to central government rules. 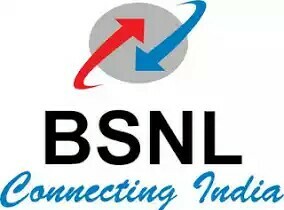 Candidates this who was to apply for BSNL junior engineer post should have following qualification .3 years of Engineering diploma/ B.Tech/ B.E in Telecommunications/ Electronic/ Electrical/ Radio/ Computer/ Instrumentation/ Information Technology from any govt recognised institution. Candidates in BSNL junior engineer post will be selected on basis of written examination. Candidates have to pay 1000 ₹ for BSNL junior engineer post whereas for SC/ ST candidates have to pay ₹ 500 ।Fees can be paid by nternet Banking, Credit Card, Debit Card.